Karen Persis is well-versed in Florida surrogacy law and represents parties in the drafting and negotiation of Gestational Surrogacy Agreements, Traditional Surrogacy Agreements, and Preplanned Adoption Agreements throughout the state of Florida. She has helped intended parents from 5 continents, more than a dozen states, and countless cities in Florida form their families through surrogacy. The Intended Parents generally initiate the drafting of the agreement with the gestational surrogate (and the surrogate’s spouse, if she is married). Sometimes Intended Parents go through a surrogacy agency to assist in the process, and sometimes they choose to proceed without one. Either way, it is critical to have a contract drafted and in place between the parties prior to the fertility procedure taking place (and generally, fertility clinics will require legal clearance prior to stimulation medication starting). These contracts, plus their exhibits, can be rather voluminous as surrogacy law is a complicated matter. However, they are written this way to plan for all of the potential issues that could arise before and during the course of the pregnancy. The agreement will outline critical terms, such as material breaches of the agreement, the intent of the agreement, future contact, responsibilities of the parties, legally permissible reimbursements, medical disclosures, and the surrogate’s waiver of parental rights to the child. Those items are just the tip of the iceberg. 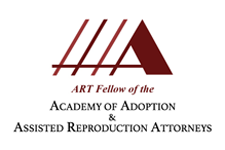 As aFlorida surrogacy lawyer, Karen Persis will use her experience to draft a thorough contract outlining the rights and responsibilities of the parties involved, and she will do so in a timely manner. Karen thoroughly reviews all of the terms of the agreement with our clients, and is ready and willing to explain any term and answer all of the questions you might have. After the agreement is executed and a pregnancy is confirmed, Karen will also prepare and file all necessary court documents and appear in court to finalize the process for her clients. The Intended Parents will typically pay for an independent attorney to review the agreement on behalf of the gestational surrogate (and spouse). Karen takes her roll as the surrogate’s attorney very seriously, as it is important that the surrogate fully understands the terms and conditions of the agreement before executing it. If changes need to be made to the agreement, Karen will pursue such changes for her client; if various terms need to be negotiated, she will negotiate. Just like the Intended Parents, surrogates can be overwhelmed with the size and language of the contract. Surrogacy law contracts can certainly be daunting. However, Karen enjoys analyzing these agreements and clearly explaining the terms to her clients, and working collaboratively with opposing counsel to address any outstanding issues prior to execution of the agreement. She responds quickly to their concerns, and serves as an effective advocate for their interests. Attorney Karen Persis represents clients throughout the State of Florida, from the Panhandle to the Florida Keys, including the cities of Miami, Jacksonville, Tampa, Orlando, St. Petersburg and more.